Hasbro reveals new Marvel Legends line up at NYCC – AiPT! We all knew it was coming and Hasbro didn’t disappoint. Earlier today we shared the leak of the Marvel Legends Hydra two-pack. 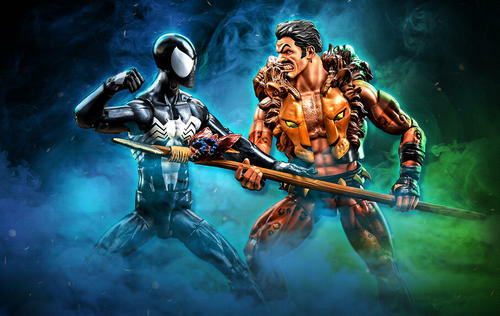 And now we have the images of the new Hasbro Marvel Legends and I am excited about these guys! The figures will be released in Spring of 2019 and I personally cannot wait for the Night Thrasher figure! It will be his first Marvel Legends action figure. Check out the pictures below!